Time for an oil change? Order here. “The life story of a war baby is very different to the life story of a life baby” Udo Erasmus. Check out Udo's range of products here. When people ask me who I am, I always respond that I am still trying to find out who I am because it is an ongoing journey. I was born during WWII, in Poland when it was part of Germany. Before the age of three we were refugees, fleeing from tanks on the ground and gunfire from the planes above us. I do not remember much of being exposed to war but I do remember the fear and the anxiety, as this has followed me through my life. Until the age of 45 if I felt tension in a room, I would start to shake. My coping mechanism became to break things up, in that I became funny so that I could always break that tension and feel the anxiety leave. People have always said I am funny and this was something that I used to my advantage I situations that would otherwise terrorise me. One of the things I remember vividly from my childhood, from the age of 6 or so I remember watching people in Germany arguing over things I thought ridiculous even at that age, the most trivial things and I knew there had to be a way that people could live in harmony. This then became my mission, I came from a tough childhood where I knew there was nothing you could truly rely on. I started studying science to try to understand how the world work, then I went into biological science because I wanted to know how animals worked, then psychological science because I wanted to understand how thinking work. However, I still want to understand how I worked on an individual level so I moved into the area of self-knowledge. My focus since has been to improve the quality of life that people live, whether that is through mediation, nutrition, ways of thinking, the company we keep or how we treat our natural environment. I want to save at least my world, not the whole world but at least those within my sphere of influence. Even my approach to humour and to making people laugh comes from wanting to make life better, to cheer people up and to make them laugh. Not long after beginning my exploration into self-knowledge, I was poisoned by pesticides. I had taken a job as a pesticide sprayer, a job that I did very carelessly for three years, constantly breathing in the pesticides I had been spraying which eventually poisoned me. I went to the doctor, who told me she had nothing to cure or to even treat pesticide poisoning, this was a lightbulb moment for me in that I realised for the first time that my health is my responsibility so I became very interested in figuring out how I could get better where medicine currently had no solutions. I started reading, because I had studied science I was pretty good in the areas biological science and biochemistry engineering, I started reading journals about nutrition, health, and disease. The more I read, the more I began to realise how greatly I had underestimated the role of nutrition in all areas of health. The idea being that every year 98% of the atoms in your body are replaced so if you improve nutrition, in one year you can improve 98% of the atoms in your body, this is the process of healing. It was the area of oils that interested me the most, looking at how the manufacturing process damages and toxifies oils through the heating and chemical treatment processes in order to give them longer shelf lives. These processes damage 1% of the molecules contained in the oils, which doesn’t sound like much until you learn how many molecules there are in just one teaspoon, more than 60 quintillion damaged molecules associated with inflammation and cancer are contained in every teaspoon. Using the knowledge, I had obtained and my basic machinery skills I went on to develop a method for building oils with health in mind as opposed to shelf life, starting with organically grown seeds free from pesticides also meaning they did not have to be treated for pesticides as currently done by the industry. I created a process where the oil is not being affected by air, light or heat whilst it is being produced, filtered, or stored. I was poisoned in 1980, and it was only in 1981 that it was established that omega threes were essential oils despite omega sixes being commonly understood in the 1920s, it was perfect timing for my area of research given that omega threes are the oils that are most easily damaged by the manufacturing process. I knew we could help so many people, given that 99% of the population were not getting enough omega three in their diet, we could make oils with the omega threes and with health in mind. Omega threes are not naturally made by the body, the definition of essential nutrients being that life cannot make it within your body with anything else, that you must bring it into your body externally. With a lack of essential nutrients your body starts to suffer from degenerative conditions, and eventually you die. If you are not consuming enough of an essential nutrient and suddenly you start to introduce high enough levels into your body, all the symptoms are reversed because life knows exactly how to make you a healthy body providing you are giving it enough of the essential nutrients to do so. Around 6 months ago, I started to use the Udo’s Choice 369 blend, I can’t explain to you the science behind it but I can share the outcomes that I have personally experienced. I have found my cognitive focus to be razor sharp, I can now concentrate for long periods of time. I am also losing weight around the kidney area, it is just shedding off. My skin is looking clearer and combined with meditation and cleaner eating, the overall outcome is I am this highly energetic person who is now waking up an hour and a half earlier to be able to do this podcast amongst having a small child and working a full-time job. This is something that we see all the time, things people most commonly note are the improvement of skin and an increase in energy as these are the most physically noticeable. We did a study of athletes, the results being that these professional sportspeople on elite diet plans and training programs, reported a 40-60% energy and stamina increase within one month of starting to use the oils. There is no training program that could get you the same results within a month. In understanding why essential oils can make such an improvement to the functioning of the body, we need to keep in mind that we have the largest brains of all species, and the highest fat content within our brains. 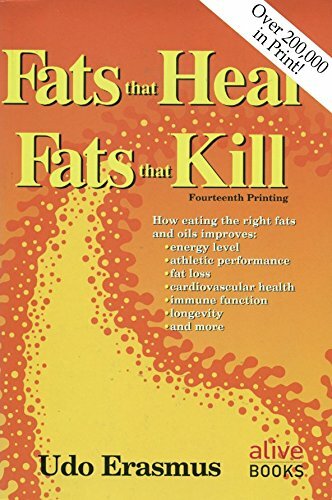 Therefore, if we are not getting enough omegas or positive fats, what begins to happen is that our mental stamina and intelligence will start to decline because of the importance of omegas in the structure and function of the brain itself. The same studies also saw a reported increase in healing by a third to half the time when on the oils as compared to when not, anything that gives your body more energy will increase the body’s ability to heal. Omega threes also reduce blood pressure, reduce the risk of cardiovascular disease and are essential to healthy development in pregnancy as if a pregnant woman does not consume enough for the development of her child, the child will take those nutrients from her body. If you increase your oil intake by any amount, 20% of it goes to your skin improving the moisture content and appearance, hair growth also increases by 25%. Given that two-thirds of your energy is taken up by digestion, if you eat too late in the day and go to bed with a full stomach, your sleep will not be as good and you are more likely to have bad dreams. You are not meant to eat after 6pm as sleep is not meant to be a time for digestion, it is meant to be a time for other body processes. Oils aid digestion by slowing down the time it takes for your stomach to empty meaning you have more digestion time in the stomach, it always gives the digestion cells more energy. They also give the hormone producing glands more energy giving you better hormone activity, affecting everything from your thyroid hormones, insulin levels and stress hormones. The only thing we are responsible for in our health is ensuring we provide our body with the body blocks it needs, the body knows how to make healthy cells but it needs the energy and the building blocks to do this. Instead of giving the body the one thing we are responsible for, we are filling it with junk food and other harmful substances. If you are enjoying your life, you would look after it, you would put in the time and the effort that it takes to look after your body, just as you would with a relationship that you enjoyed. Life is about an inner journey, if you bring your awareness into where that life is happening inside of you, you will be excited about it. When you feel really good about life, all the other thing else falls into place. To me inspiration is nutrient number one, when you are depressed you are not going to look after yourself. The way to become inspired may be that you actually need to become more depressed, to disconnect ourselves from the inside in order to trigger the ache of feeling lonely, yearning or sorrow. This feeling that we get is the greatest gift we have other than the gift of being alive, however we hate this feeling and we distract ourselves from it. The reason it is the greatest gift other than life itself is that your awareness will nag you until you take it on. If we never felt that ache, we would never bring it home instead we would get spaced out in the world as we do. We would never get out of our head, the feeling brings us out of our head and makes us feel something. It is our heart calling our awareness to come back home to life, it is that ache that makes meditation make sense. It’s like food doesn’t make sense without hunger, water doesn’t make sense without thirst and meditation doesn’t make sense without that ache of the heart. When people don’t take care of returning home, they feel disconnected which causes discontent, people who are discontent then spread that discontent. I have been doing a practice called self-knowledge for 44 years, I felt I needed it coming from my background. When the 9/11 attacks occurred, my take home message from that was that discontent people will always spread discontent. If we do not do more to spread content than they do to spread discontent, then this is the way the world is headed. The most important place to start is to find your contentment again, to find that thing that makes you feel like your life is worthwhile. If you feel amazing you are going to do amazing things and treat others well, if you want the best you need to go to the core and talk to the core of other people. The light is already in every person, it is a matter of looking into it rather than looking away from it, regardless of what you have been through. We are the product of unconditional love that lives within our being, when we feel taken care of we aren’t going to steal from each other or hurt each other and we can live in peace. When we live in harmony together, then it is second nature for us to make sure that everyone’s basic needs are met. People have way more than they need, they hold onto it because they fear that if they give away what they do not really need, that they will feel even more discontent. When we feel taken care of, it is our second nature to share. It is because we are disconnected from ourselves that we do not live like this. If I did not have this foundation of life, I would not have invented the oils that I did. There would have been nothing to inspire me to take on the worst part of nutrition to change from making oils for shelf life to making oils for health. I felt well taken care of, and then I wanted to make sure the oils were then taken care of and could go on to take care of others. We are all shaped by experience, whether positive or negatives, we then have a choice as to how to reflect this in the world. If you don’t know who you are, a negative experience will ball you over and you will not know how to live a lit-up life in the world, instead you will bring this negativity into the world. It is about going within to find your own light, your own wisdom, and your own sense of being. My goal is that by the time that my body is ready to check out, that this forms part of the folk wisdom of every culture. It would be a very different world, we don’t have to go around killing each other as there is plenty for everyone. We are discontent because we haven’t taken responsibility for the quality of our lives, even though we have complete control of this. If we do not know how to take control, we need to find a mentor or a person who has the ability to do this so we can get a real idea of what it looks, feels, and sounds like to be someone who does live that way. I met my mentor when he was 14 and I was 30 and he could already teach me things I didn’t know, his website is wopg.org which stands for Words of Peace Global, he has now been at it for 50 years and gives his knowledge as a gift. I have re-written my entire life; the life story of a war baby is very different from the story of a life baby. From that place, I can go to, I have re-written how the world looks like from life’s perspective as opposed to writing how the world looks like from war’s perspective. Tony is easily my greater promoter, Sage the wife of Tony is also from Vancouver where I am from. Sage and my son were friends before she met Tony and when she hooked up with Tony she invited my son to Date with Destiny, after going my son told me I had to go and see him for myself. I blew it off given he could not even tell me why I needed to go so badly, however my son is a persistent man and he went to Sage and suggested that she bring me in to speak to the audience about oils. Being a naturopath she understood their values and surely enough I was invited to attend. Prior to meeting Tony, I was expecting this big guy to have a big ego, who was also famous meaning he was going to have a bigger ego and that fact that he was rich would mean he would have the biggest ego imaginable. When I met him backstage, it was just him and myself, he was so focused on making me comfortable which totally blew my mind and the concept of ego I had been expecting. He used my talk in Life Mastery and in Unleash the Power Within. Tony himself uses the oil and since 2002 has promoted in in UPW, in Life Mastery and also in his Masters university program, but has never received a penny for doing so, despite that fact I would love for him to considering what he has done for them. I have never seen money as a means of happiness, I grew up poor but never felt poor, instead money is merely a means of exchange. The money I receive from selling the oils isn’t my money, it is the money of those who bought it who then allow me to give this money to supporting charities who I believe improve the quality of living and the ability of people to find their light. Rather than buying a big house or fancy things, I can use this money for what I am truly passionate about. If I could meet every buyer of the oils I would thank them for giving me their money and allowing me to support my cause. The oil is one of the outcomes, but the philosophy is the foundation based on experience.